After Suffocation got big in the mid-90s as the next big direction for death metal, lots of bands took the Cannibal Corpse hint and started imitating the easier parts of the Suffocation percussive death metal approach. Unfortunately, doing so creates music that is dumber than malformed concrete, and Internal Bleeding quickly distinguished itself as the death metal version of Pantera: brocore for bros who like to you know drink beer and punch their heads into walls. 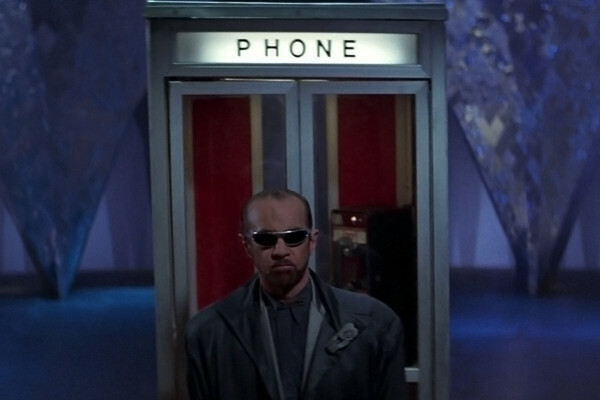 Checking in with them 19 years later, it seems little has changed. These songs are hook-laden and not fully random, but the hook relies on the most basic of rhythms and their expectation, sort of like watching a chihuahua chase its tail. The band tries to compensate for their basic and unexciting music with really active vocals and occasional melodic touches on guitar, but nothing changes the fact that these songs are based around extremely basic patterns designed to numb and erode the mind. The famous breakdowns are back and serve to break up some of the constant muted-strum chugging and ranting vocals that shadow the rhythm of the guitar riff, but even if they dropped occasional symphonic parts into this Internal Bleeding could not hide the fact that most of this music is designed to destroy brain cells or appeal to those who have already voluntarily obliterated their own minds. This band will be overlooked by many because the production on this album makes it hard to hear anything but bass, vocals and metals (cymbals and high-hat). However, what lies beneath the obscurity is a quality melodic punk album that verges on Oi and shows us what emo could have been in the hands of quality songwriters; you could compare this to the Descendents and the Misfits because this band write quality vocal melodies over melodically hookish riffs and rhythms, producing a sense of familiarity and yet a sense of weight like that of history or topics that pop up in every life no matter what age. Vocals alternate between a black metal-ish rasp and sung punk vocals, with the latter being more convincing. As with Misfits, the composition of these vocal melodies defines the song, combining old world melodic intensity with a casual punk sense that favors the simple and almost childlike. Touches of metal technique accentuate the harmonic space created by these rather open melodies, but generally, what you hear is punk that sounds as much like Blitz or Reagan Youth as something more recent. The result brings together the best of punk in its attempts to combine its energy with depth, and provides for a good listen, if the listener is able to hear past the abysmal production. Among the 1970s progressive rock bands, Genesis is frequently mentioned but often forgotten. It seems to me that the reason is that its vocalist, not its guitar-keyboard duo, dominated the composition and thus it drifted closer to the regular-rock tinged Pink Floyd style of “light” progressive rock, without getting as populist and compact as Pink Floyd or Rush did. However, it would be a mistake to overlook the first few Genesis albums which were ambitious although steeped in a self-righteousness which seems more pretentious than the usual self-indulgent musically masturbatory egoism of progressive rock. 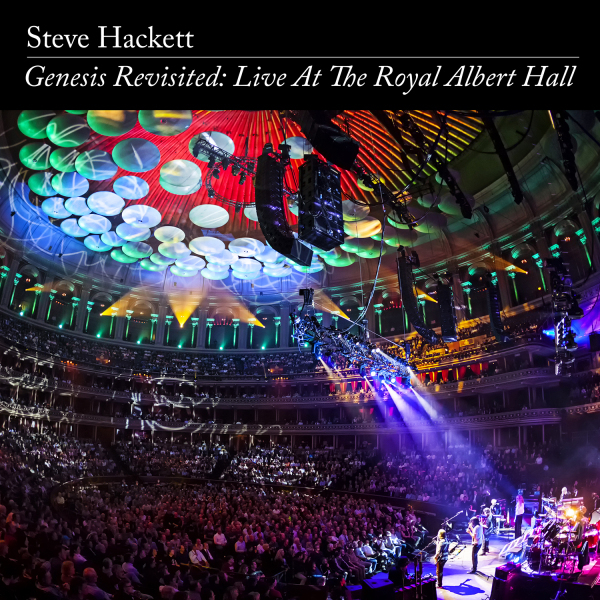 On this live recording, Genesis guitarist Steve Hackett revisits the older Genesis material with the benefit of an extensive solo career and an entirely different band. The result makes Genesis sound more pastoral, with greater emphasis on vocals and mood in the style of later-1970s big radio rock bands, but also brings out some of the more aggressive guitar that got buried under keyboards and vocals on the originals. Vocalist Nad Sylvan manages a more soulful and less starchily self-referential voice than the original, and all accompanying musicians are excellent including a cast of highly talented players who, while not fully noticed by name in the mainstream, have demonstrated their abilities in complement to larger acts in the past. While all of this shines, the fundamental problem with Genesis remains the “oil on water” feel when it switches between something that sounds like Queen and a sort of extended figurative structured jam. While highly musical, Genesis often seems atopical and thus lost between its rock drama and its progressive underpinnings, and in many ways, having Hackett reinforce the role of guitar both reduces this gap and highlights what is left. For Genesis fans who wondered what this band might have been like with a different internal balance of power, these re-envisioned tracks will provide hours of exploration. 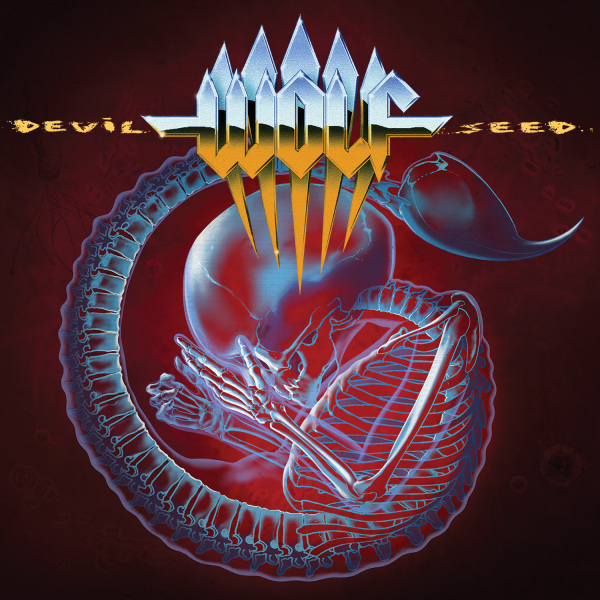 This album takes the speed and intensity of a speed metal album, adds in Accept-style power metal vocals, but underneath the skin is something more like a hybrid between the first albums from Motley Crue and Queensryche. The result is… well, there’s no nice way to say this, but: annoying. Highly skilled and highly repetitive, vocally demonstrative and vocally over-dramatic, catchy and infectious and yet cloying, it hammers out the earworm qualities of glam metal at the pace of speed metal with the production and sound of power metal. If this is your first album from this style, it might be interesting to own, but probably difficult to listen to on a regular basis because of the similarity of the tracks and the consistently high levels of sentiment and bounding energy. The 1980s varied moods of glam metal have been replaced with the aesthetics of techno or punk, and it just keeps going and eventually even drowns itself out. Musically, nothing here ventures outside of the camp of what has worked before and become established, although a few adept variations give greater power to the framework. As with most metal/rock hybrids, what brings it down is the need for vocals to lead which crowds out other instruments, in turn squeezing the space available for song development. While the vocals are impressive, when they become too predominant like this they lose some of their power; Halford or Dickinson (or Di’Anno) would have been more selective in the use of their full-bore intensity and emotional depth. This band combines “suicidal black metal” with the shoegaze/emo/indie variant that specialized in certain minor key chord progressions turning upward at the end of each phrase to convey a sense of misplaced “hope,” much in the way early 1990s emo-punk bands did. The result is merely a new aesthetic slapped on top of very ancient and pointless music, since the “mixed emotions” sensation has been popular in rock music since the 1960s and produces the type of emotions one might want in the background of a movie about losing your favorite race car, but apply not at all to any life with depth, where the emotions are more than mixed but intertwined in some way more than a balance of sadness/joy that seems like it came off a greeting card. This isn’t bad in execution; it’s soulless in intent. While the former is forgivable, the latter renders this music irrelevant to anyone who is here to live for the purpose of living, because to such a person confused self-pity and weepy “hope” is completely non-applicable. In the same way it is entirely possible to listen to this entire EP, nod once, and then read a book on database administration and be more thoroughly moved by its depth and emotion than anything Vardan will ever record. Anyone else remember The Gathering? They had a female vocalist, a quite good one name Anneke something-impossible-in-Dutch, and she was not only adorable but also could sing. But that’s the distraction. The question of whether a metal band can have a female vocalist is never asked when the female vocalist goes the route of Doro or another high performer. It’s when the presence of a female vocalist changes the sound of the band that people start wanting to talk about that instead of the music. 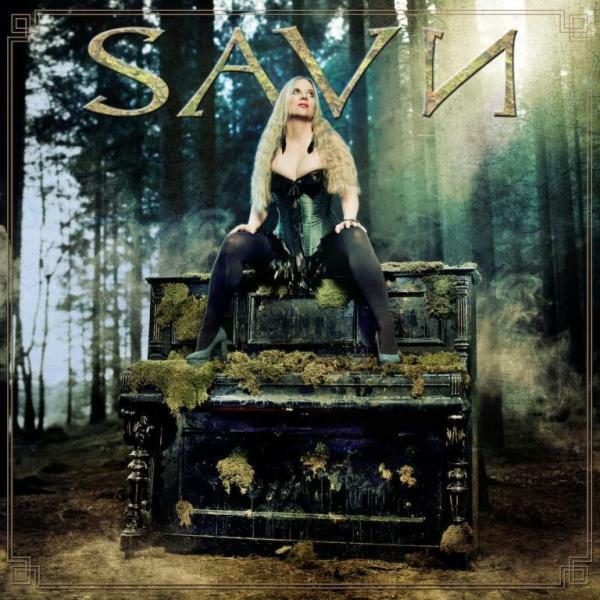 And Savn cleverly starts out with very black metal sounds, then the keyboards kick in, and then very pretty female vocals intrude. Excellent production. There’s even a harmonica, for the sake of Zuul. The whole nine yards. But if you stop hearing the distortion for a moment, you realize you’re hearing standard folk rock that has been 100% consistent from the 1960s through the present day. It fits the female vocal and range but even more, it fits the needs of people in boutique shops that sell crystals to feel vaguely empowered, slightly sad and yet charged with some kind of great Meaning that has lifted up their insignificant lives of watching television and answering phones at work to the focal point of some vast collision between human emotions that form the basis of the cosmos itself. You can imagine Jewel belting out this album, or Linda Rondstadt, or even Taylor Swift. Savn would do better to just run Doris Day vocals over old Burzum albums. I do not contest the assertion that they are talented, good players, imaginative, and that the production here is amazing. I just question what it has to convey. The answer is feeling good while you shop and pretend that the universe is not a cold empty place, and that somehow your emotions derived from pop music are totally relevant and might even determine the future. On an emotional and artistic level, this release is poisonous; on any other level, it is simply a product that doubtless will sell many crystals, possibly cube cars and haircuts too. 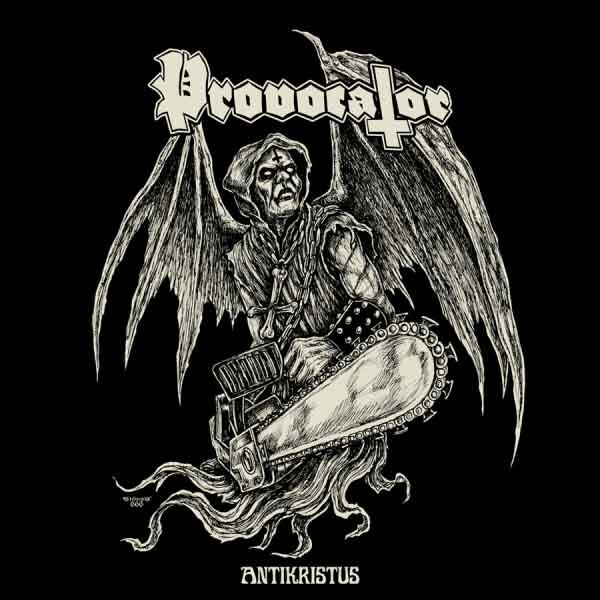 Joining on the primitive black metal thread which bands like Von thrust to the forefront, Provocator crafts simple sawing black metal based on extremely rudimentary chord progressions that are nonetheless not pure chromatic, giving it a more accessible base of tones to expand upon. Like Acheron or Ungod, these riffs rely on building momentum and then redirecting it with quick rotational motion, but the repetition of this technique wears thin. Extensive demonic vocals crowd over the top but instead of giving this depth, simply distract from both the underlying guitar and the effect of the vocals to the point where it sounds like trying to listen to a portable radio in a busy train station. Nothing on this is terrible or misplaced, but it also provides no particularly compelling content and no reason to revive this style as a result. While it plays, the comfortingly familiar Sarcofago-style drone and chaos at the right BPM will make most black metal fans accept it without a further thought, but the real question with any release is whether you will seek it out again. In this case, nothing is offered that cannot be found elsewhere in a less repetitive form. Although this is no reason to choose an album, the blasphemous song titles and Blasphemy-style prison escape vocals add to some enjoyment but cannot compensate for the fact that this is like listening to a throttle test on a ’78 Camaro. Punk music, in all of its myriad strains, was an integral foundation of black metal. The sense of strong alienation coupled with a conflicted youthful exuberance towards the future was shared between both genres, in addition to technical specificities. 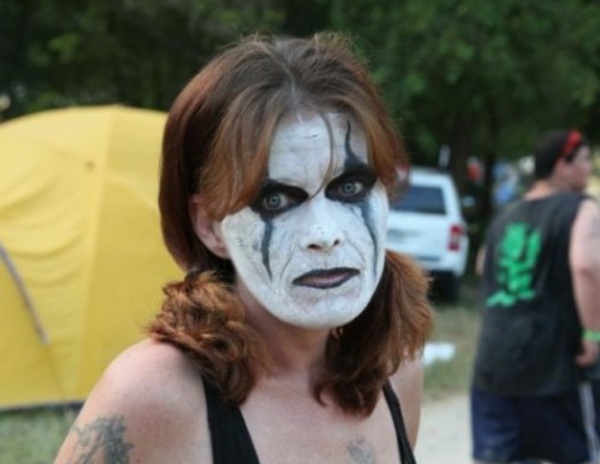 As black metal burned through its trajectory and splintered into its various initiatory parts, it became clear that a punk foundation to the genre would be a logical ground for renewal. 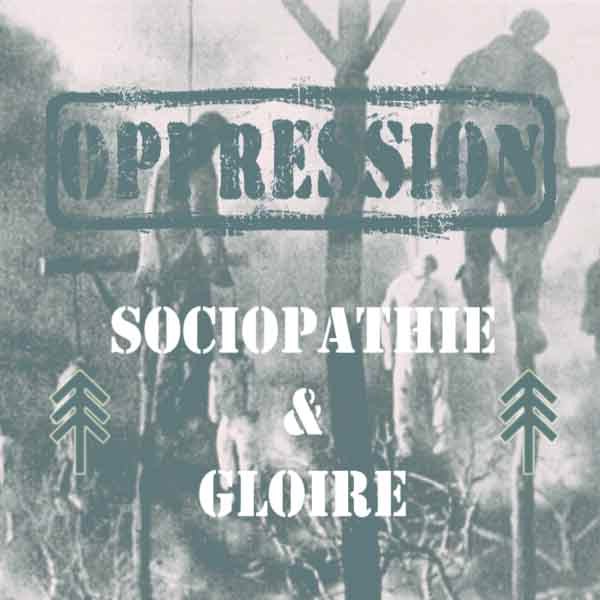 It’s here that we find French-Canadian band Oppression. Merging Oi!-style punk with some enhancements from black metal, tracks are short (2-3 minute) affairs. Melodies are catchy, yet wistful lines grounded in simple guitar and bass riffs, with vocal alternating between manic shrieks and an idiosyncratic, youthful attempt at melodic singing. Using the more linear style composition of punk, as opposed to the riff-stacking song construction used by much of black metal, each song contributes a sense of motion that builds the album up over successive tracks. Production values are what one would expect for this style of music; clear enough to make out each instrument, but raw enough to preserve low-budget ethos. This is a release that is not attempting to invent a new genre, but rather one which seeks to renew genres that had collapsed under their own entropy. This is a solid debut, which bodes well for the band as they refine their craft into the future. The strange aesthetics may be off-putting to some, but if those can be sublimated into the spirit of this album, a refreshingly honest work will open itself for enjoyment.